1. How many people in the Ohio Valley come out to do these events, but the people who come out to support these events are truly amazing. Thank you for supporting your local organization, you can all give yourself around of applause and a pat on the back because you truly deserver it. 3. How grateful the organizations are to have you do these events to help them raise the money needed to keep there organizations up and running so they can help others. 4. How many of our local businesses sponsor these events to keep the cost down for these organizations. I could go on and on, but these are the four things that I think are most important. 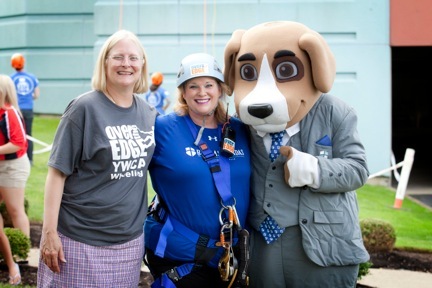 Going Over the Edge for the YWCA was and honor & a privilege for me to represent Bordas & Bordas and to help raise a little extra money on for the YWCA to give them the means to help empower women and girls in Wheeling and to help them find a safe place to go when they need it the most. If you can get out and help any local organization do it, you never know when you might need to use the service of one of our local organizations. 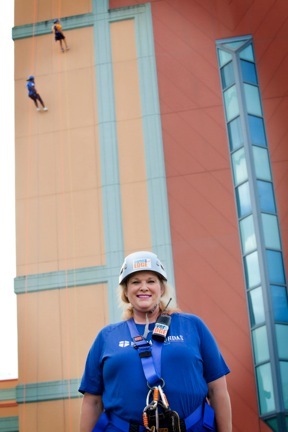 Giving back to our community is very rewarding and very helpful to your soul. God gave you abilities, us them to help others when you can. As I’ve told so many young people when you can pay it forward do it and think of the person who paid it forward to you when you needed it.